JOHN KING British standard hollow pin series affords a ready facility for fixing attachments to the outer plates through the hollow bearing pin. The attachment can be bolted up tight against the hollow pin rivet or left in a free manner. 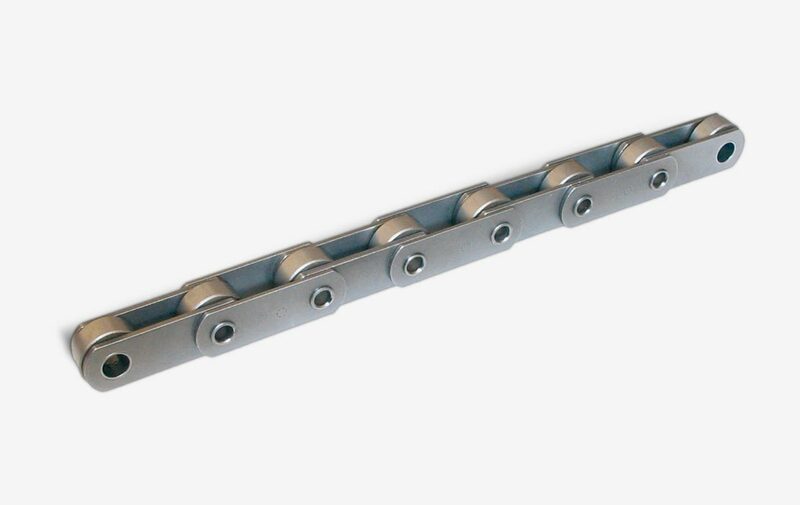 A very typical example is where the chain is operated double strand with or without a mesh overlay. It must be noted that chain of this construction loses on average 20% of its ultimate strength.